This is what you get when you use your creative genius. 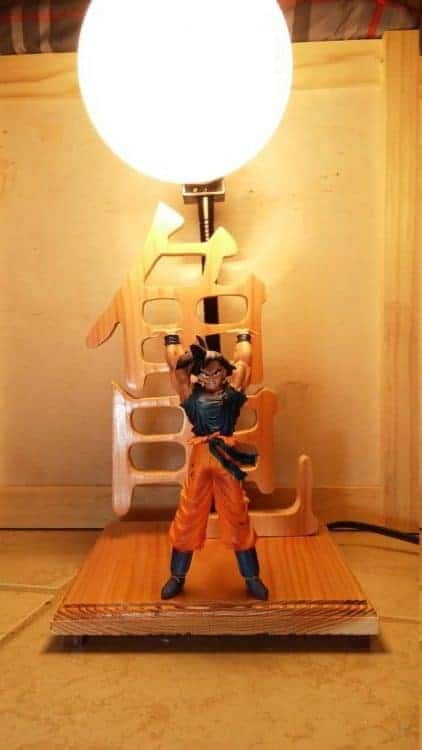 Combine a lamp with a Goku Dragon Ball Z action figure and you get a super badass lamp. If you are not familiar with the Dragon Ball series watch this video to put it into perspective. 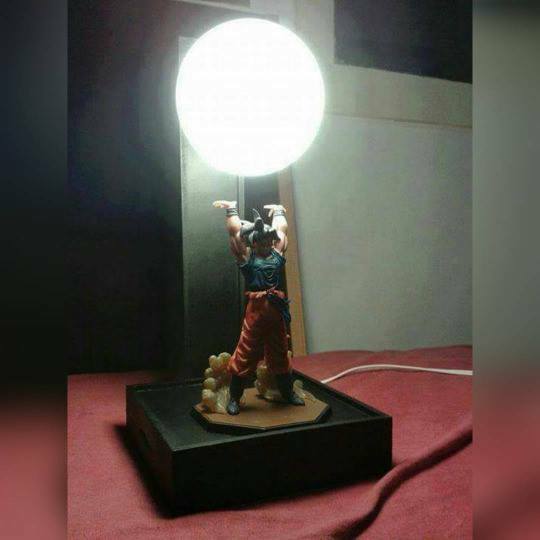 I know where you can find the action figure Here, but can’t seem to find the lamp. 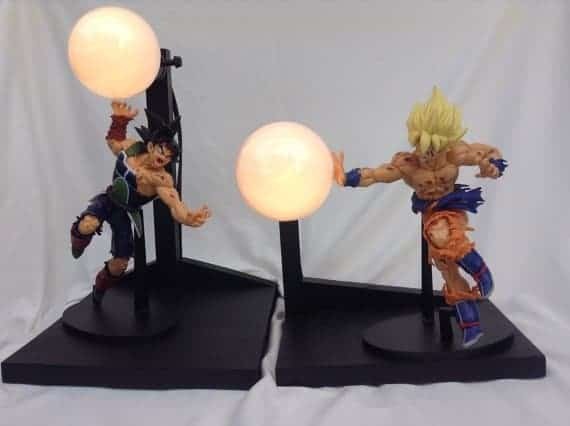 Either way you can probably come up a way to build yourself your own version of the Goku spirit bomb lamp and maybe come up with something as equally cool. 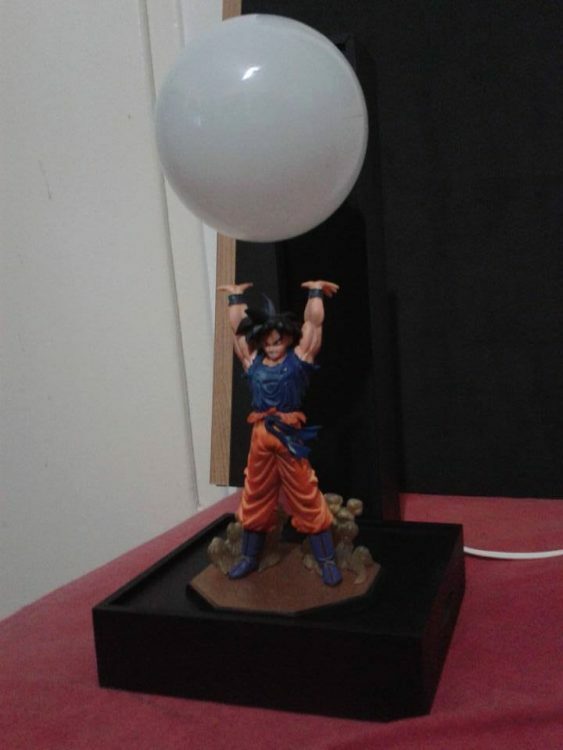 Maybe use one of these LED light bulbs and make a Krillin destructo disc lamp or some other DIY Dragon Ball Z lamp. 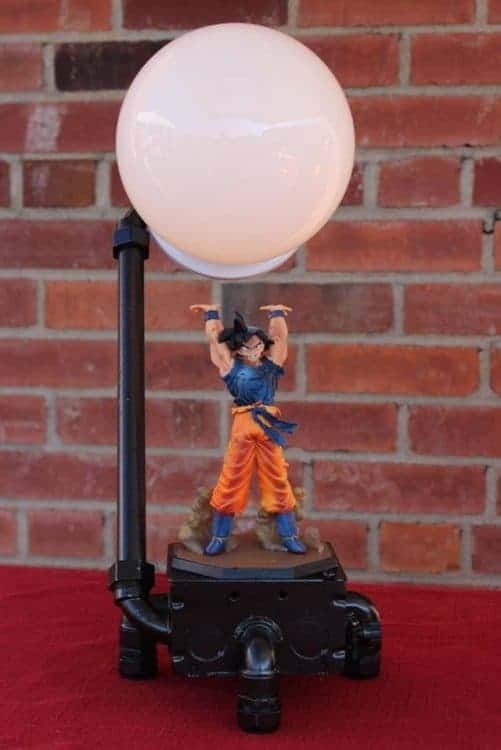 Where you can buy the Goku lamp and more variations of it! 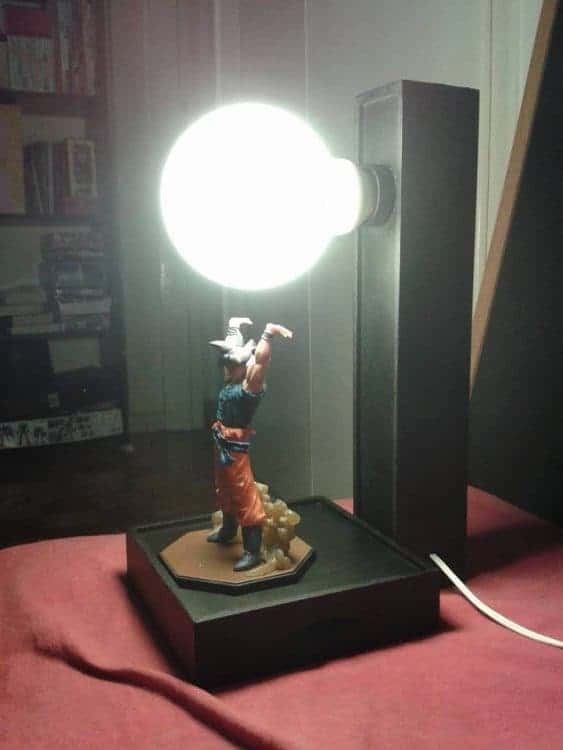 After tons of viral exposure of the above lamp. Nobody could find a seller of the lamp, because it wasn’t for sell. 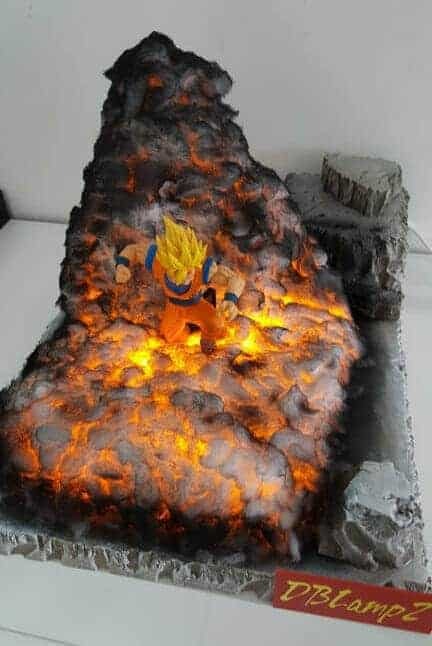 Just a one off item someone made for themselves. 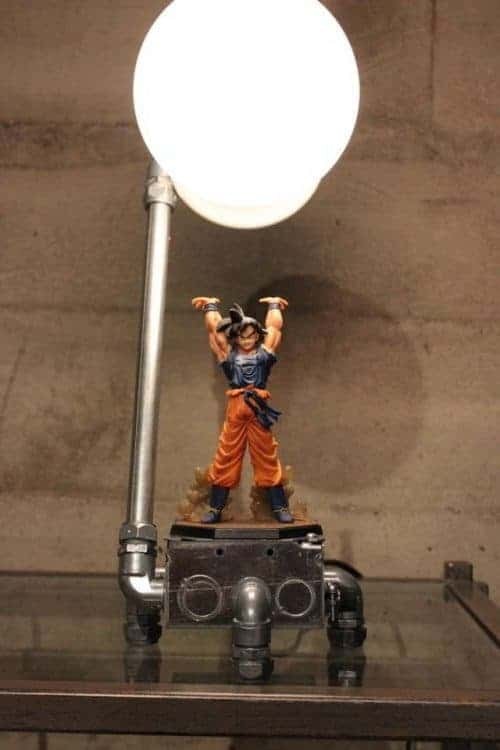 So like good internet entrepreneurs many people had hit the work bench to put together this easily made lamp into different variations. You could obviously make one yourself if you really wanted to but. 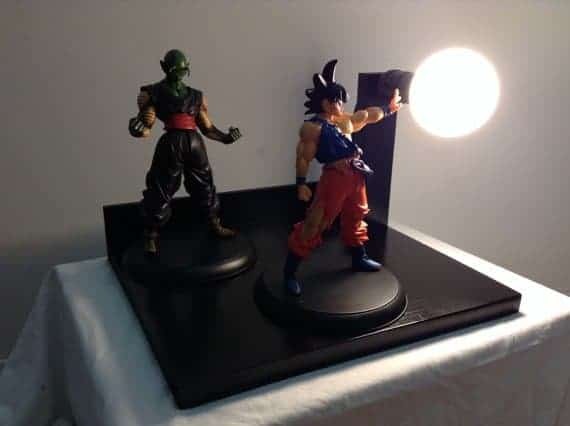 If you are still one of the lazy users who don’t want to build yourself a Goku lamp, here is your chance to shell out some cash and purchase a few different variations of the lamp. 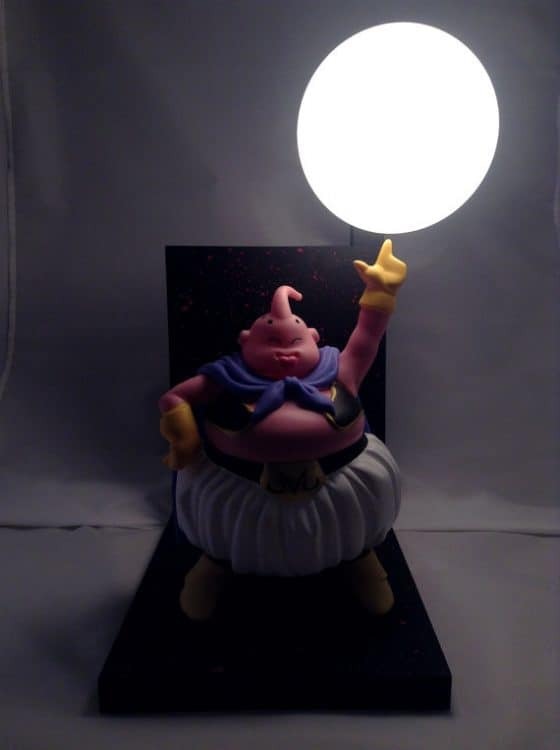 DBlampZ also has a few more creative DBZ lamps that are more scenic than the original version. Either way you should go check them out! That is a pretty sleek alternative. Did you happen to make it or just purchased it? I purchased it off line. I saw these on another site and, again, when I first read this, the lawyer in me kicked in and instantly thought this was some type of copyright or trademark infringement issues with regards to the images of the characters being used to create these designs or the trademarks likely behind the characters. 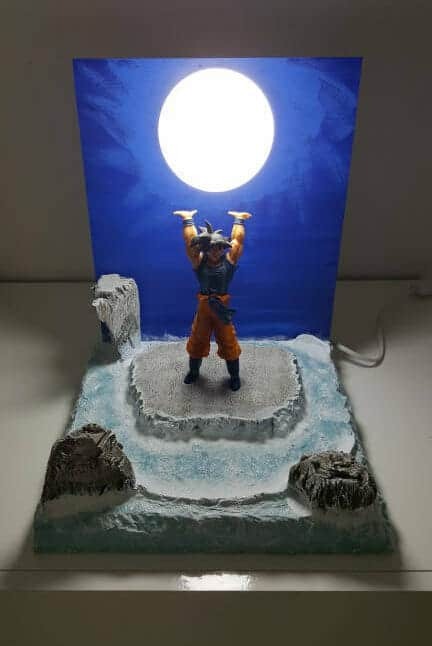 However, the fact that these lamps use action figures to make them, it is an interesting way to possibly argue fair use / first sale doctrine protection. Very interesting indeed!